Guys, I have a secret. I like to read. I know, I know, you never would have guessed. But there you go. I read a lot. Also, another shocker. But I am not rich, and one book in the grand scheme of a bank account is not that bad. But I read 160 books last year. If each book was $10, that is $1600! Even if each book was $5 that is still $800, and that is $800 more than I want to spend on books. So I wanted to share a few of the places I buy or get books. The last time I bought a full priced book was actually by accident and I was so mortified that I almost told the cashier not to worry about it, but that would have been more mortifying, so I sucked it up and paid ... I'm too embarrassed to tell you how much I paid, however, it was the 4th in a series I loved, totally love and respect the author so I'm not that mad about it. Now, the #1 place is obviously your library. The library is great. Nothing more needs to be said. But sometimes you can't get to the library or they don't have the book you want. And sometimes you have a shopping problem and want to own things, whatever. I am an equal opportunity reader, I like ebooks, real books and audiobooks. So this post covers all of them. I happily read secondhand or used books, if you don't then this might not be for you. I also want to mention that this is not sponsored in any way shape or form, zero affiliate links were used, I get absolutely nothing out of this except hopefully sharing a website or something that you didn't know about, you will then buy a book and it will make my book loving heart happy. I know, I'm just stating the obvious over here aren't I? Amazon is really competitively priced, most of the time. Plus, they are reliable and have fast shipping. When I want a 'real' book and I want it to be new, I use my camelcamelcamel.com trick (read more here) to make sure I'm not paying too much or to track the price. I really want a copy of The Royal We, I have already read it and loved it, but like I said I like to own things. I was going to wait for the paperback (comes out in April) but they released the cover and I don't like it, so I will buy the hardcover when the price goes down. For 'real' books that don't have to be new, I do something different. Graceling is $10 for the paperback or $7 for the ebook. They are both fair prices, but like I said - I buy far too many books to not at least try and save money where I can. So I click on the '122 used' link. I never click on the new because Amazon normally defaults to the best price. Books are basically the only thing I buy from third party sellers on Amazon because you can't really screw a book up. I have actually had a few arrive with bent covers or whatever, but I could tell it happened in shipping and wasn't that mad. 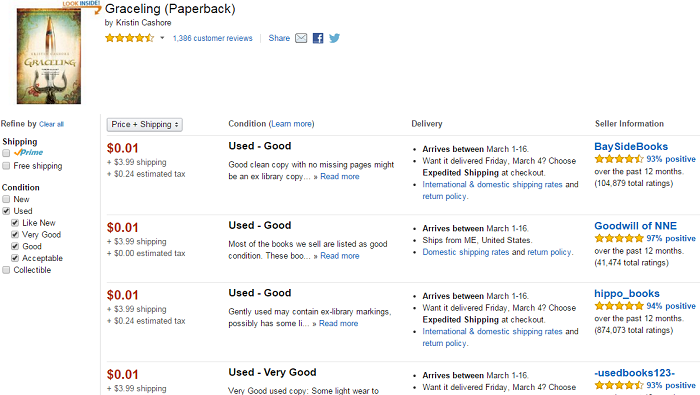 As you can see, you can get a used copy of Graceling for like $4. Not bad, right? Now, I'm cheap and impatient, so I normally filter by 'prime' or 'free shipping'. Because, lets face it, nothing beats prime shipping. 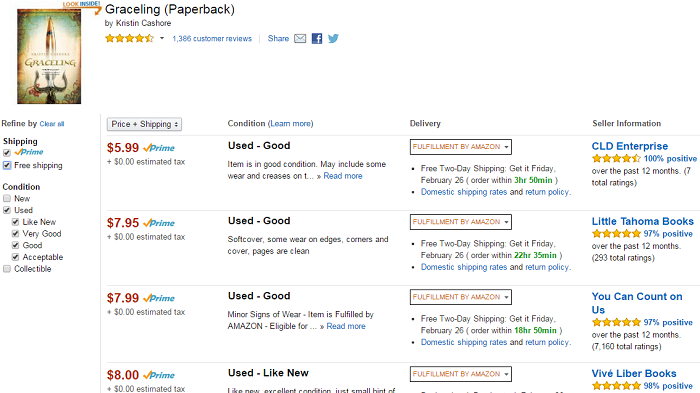 See below, I can get a used copy of this book for a couple of dollars more than the above, but I can get it in 2 days. Even if I got the best quality used book (like new) it's still $2 cheaper than the amazon price for a new book. Is it worth saving $2 to you? If I saved $2 on 100 books, that is $200. So, yeah it's worth it to me! 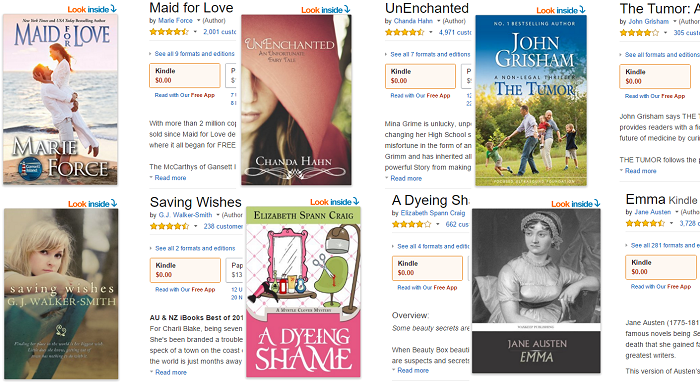 You can check out the kindle deals page and sign up for emails to be notified of deals. 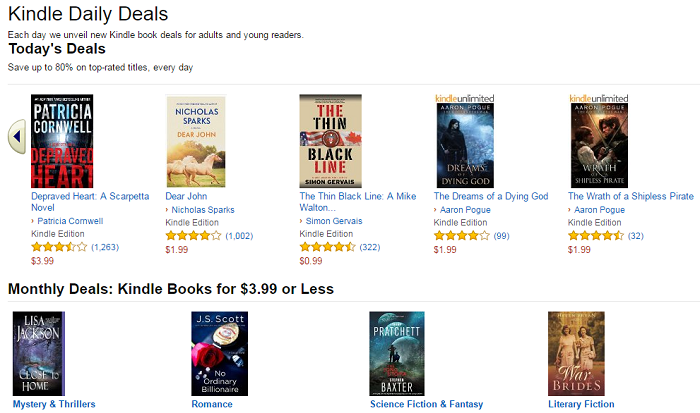 You can also track kindle prices here kind of like the camelcamelcamel.com trick, but for kindles. They also have a 'deals under $1' section. 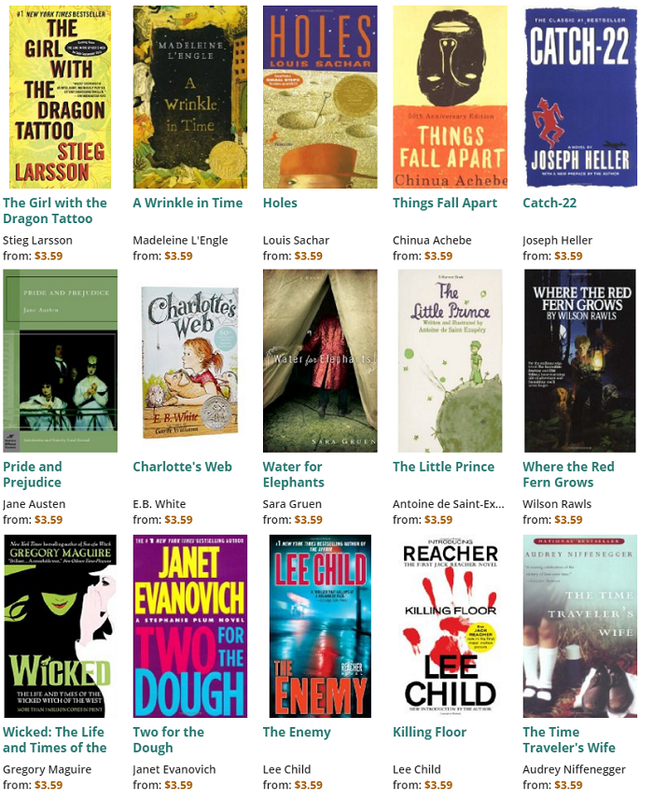 Kindle also offers a lot of free books - classics and otherwise. Such as Maid for Love (I really enjoyed that), UnEnchanted and Pride & Prejudice. above: Maid for Love, UnEnchanted, The Tumor, Saving Wishes, A Dyeing Shame & Emma. All free (at time of writing this post). You can sign up for a free trial here. I have actually signed up and cancelled kindle unlimited a couple of times because I am not totally convinced it's a great deal. It's $10 a month, but there isn't a whole lot to choose from. Well, there is a lot to choose from, but it's not like you will find a certain book you are looking for, more like you will have to find a book you want to read from what is offered - if that makes sense. I have read tons of books using kindle unlimited, and as long as I read 2 books a month, I figure it's worth the cost. I have paid for 3 months total and read 25 books. It's not something I would keep to read one book a month, but it's good for multiple books and I like that you can cancel and sign back up whenever you want. You just have to read your downloaded books before you cancel because once the month ends, they disappear from your kindle. I also read and enjoyed most of K.M. Shea's books on kindle unlimited, and Rachel Schurig's Three girls series. This isn't an amazon company, but I like them because you can sign up for any ebook deals - nook, kindle, whatever, and you get an email every day. I've found a few books this way. I wasn't always the biggest fan of audible, I think it is a bit of a rip off actually, $15 a month, basically $15 per book. At the rate I read/listen to a book, that is too expensive. I wish it were $15 a month for unlimited audiobooks rather than $15 a month for one credit which can only be used on one book. However. There are other ways to save. 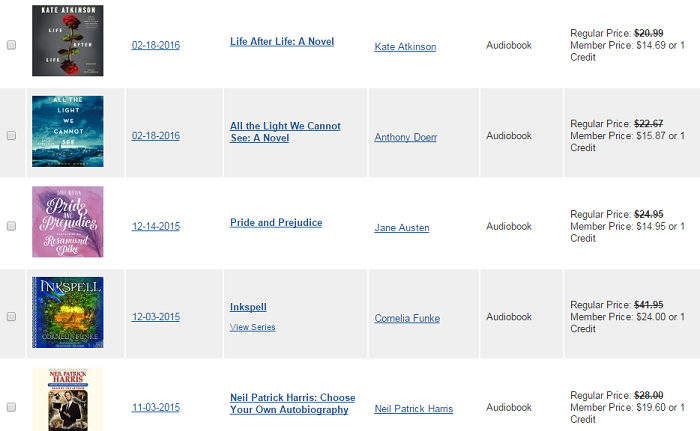 Firstly, if you are new to audible - there is always a deal going on - just search 'audible coupon' or 'audible deal'. Like the one below on groupon. If you are a prime member, I saw a 3 month free trial on retailmenot. Last year, I got an email around black Friday for like 3 months at $1 each. I signed back up immediately! This year, I'm hoping they do more than 3 months because I'd buy a whole year if it was heavily discounted (are you listening, amazon?). What if you are already a member and are sick of paying $15 a month? Well, there are a couple of possible options... First off, cancel! Wait, what? Just like any other company, Amazon wants to keep you as a customer and will offer you a deal. Huzzah! Unfortunately... you can only do this once. Not that I've tried or anything... But if I had tried, I would be able to tell you that they do sometimes offer a $20 credit instead which is pretty nifty. 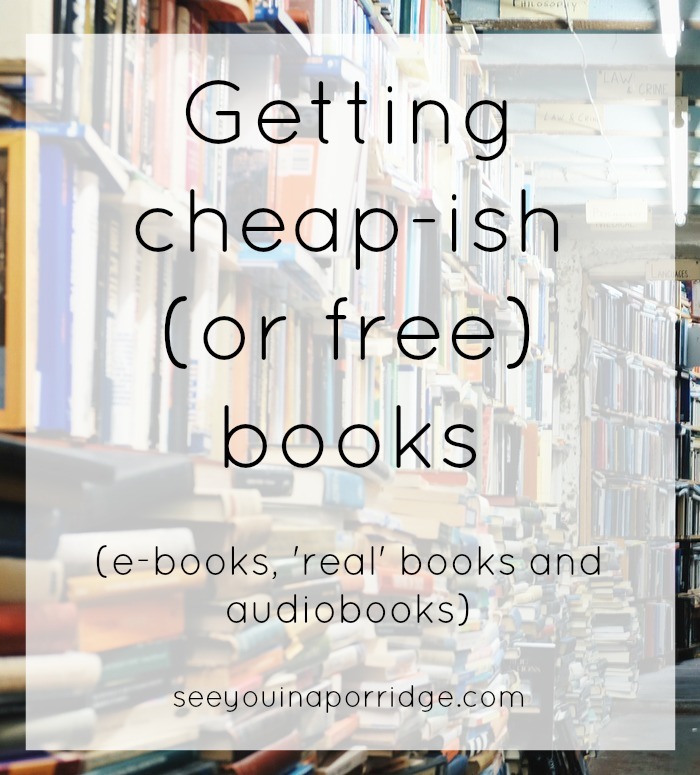 Another way to save is... well, I'm not going to explain it here, read this post from Modern Mrs Darcy for more info but basically you buy the kindle book and then 'upgrade' to the audiobook for a couple extra dollars (sometimes it's $3, sometimes it's $15). I'll use the same example as MMD and show you Outlander. You can see that the kindle is $3.99 and you can add the audible narration for $3.99. That is $7.98 for the audiobook (and you can switch in between kindle/audiobook and it magically knows where you left off). Now, that's not bad right? $8 for an audiobook that would normally cost $25 on its own or 1 credit. Okay, but what if you don't want spend your time trying to find a kindle + whispersync deal? Here's another tip. Click this link to go to your audible matchmaker and it looks at your kindle purchases and gives you the upgrades available. Mind blown. But if you don't have any kindle books to be upgraded or don't want to listen to those ones (I'm really picky about what books I listen to) you can click this link here and that will show you all the deals for 'read and listen' and you can filter by 'add narration for $3.99 or less'. If I am specifically looking for something to listen to, I try and stay under $10 total otherwise it's not worth it. Okay, one last audible tip - use your credits wisely. I save them for the more expensive books that I can't use the kindle + whispersync trick on, or that are more than the monthly fee of $15. See below. All the Light We Cannot See is $15.87 so if I use a credit, I'm really only saving $0.87. If I buy Inkspell which is $24 or 1 credit, I am saving $9. Boom. Okay, moving on from Amazon. It is basically the king of internet shopping, right? Amazon is great, but it's not the be all and end all, especially with books. I don't love this website, but I don't hate it, and it certainly comes in handy. It's not my first choice when looking for a book, but I have gotten several books from this site, so it's definitely not bad. BookMooch is apparently similar, but I have not used that site. Basically, people list books and you can 'order' them for 'free'. You list your books and people can order them as well. You pay a small fee, maybe 50 cents when you order a book, and you have to pay for the postage of books you send out - so it's not exactly free, but more like swapping books with a friend somewhere in the US. There are rules, like the books should be in good condition, no ARCs, etc. Like I said, it's not my number one but I do use it and haven't had any issues. 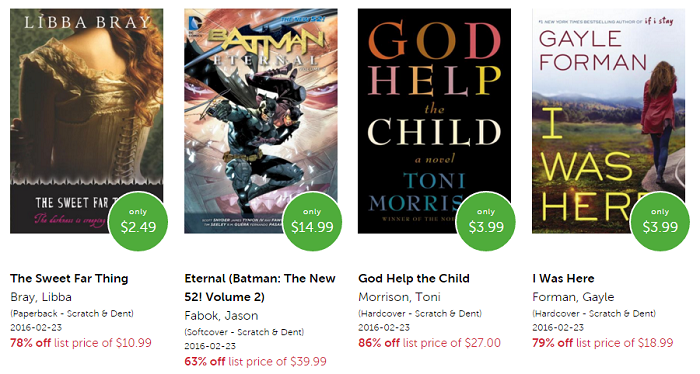 I know, you probably wouldn't think B&N but their prices are actually pretty good online. Not so much in store, unless you catch something on clearance - or maybe that's just my store. Most of the time when I look, B&N is priced very similarly to Amazon, it's just a matter of convenience and free shipping on Amazon. But B&N has a bargain area and you can find books for under $5 or $10. I know, but you'd be surprised. A lot of companies use eBay (like goodwill! ), and of course just normal people like you and me. I search for what I am looking for, and then I sort by lowest price. Then I open all the cheap ones and decide based on feedback and condition of the book. I also love that some people take photos of the actual book. Check out the below copy of What Alice Forgot - I've already read this, but I like to own books I loved and I loved this book, and for $2.99? Um, yes please. The only problem with that particular listing is that it was an 'auction' vs 'buy it now' so I had to bid on it right before it ended and I risked the price going up or someone else buying it. 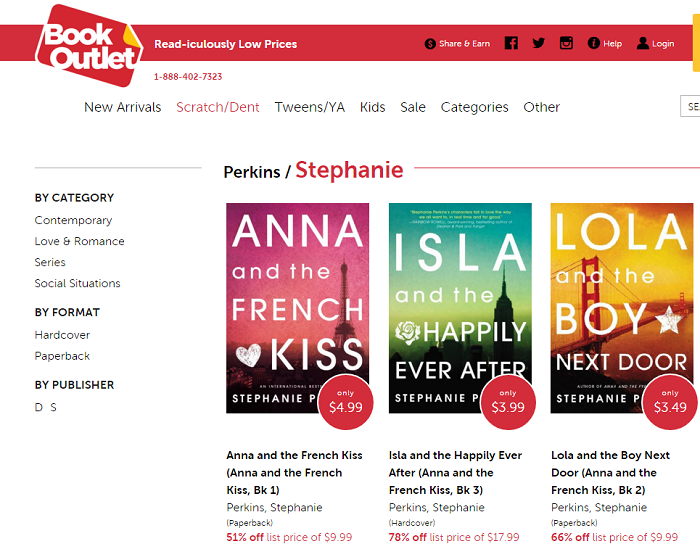 I have used book outlet a few times, sometimes they don't have exactly what I am looking for, but when they do, it's almost always cheaper than amazon and the like. Unfortunately shipping is not free, but it's only $3.99 for the first 2 books and $0.50 for every extra book. But check out the above series - a cute YA series I really enjoyed last year - all 3 books are under $5. Whereas on Amazon (below) they are a bit more expensive - of course, like I said, amazon wins all the shipping awards if you have prime, but if you're not in a rush, why not save money? Another great thing about book outlet is the 'scratch & dent' section. It's exactly like it sounds. New books with a teeny bit of (possible) damage. I have bought books from that section before, and honestly I can barely tell and I've had books from Amazon that were more 'damaged' in shipping. Okay, one of the main reasons I love wordery is free worldwide shipping. High five! This means if you want to buy a particular edition or book that is only available in the UK, you can, and it's a totally reasonable cost. Free shipping worldwide! Their prices are pretty average, not crazy cheap or expensive. They are in the UK but shipping is fairly fast. I only just discovered Powell's and I love them. They have new and used books. They have free shipping over $50, I think, but otherwise it's only $3.99. What I like about Better World Books, besides the free worldwide shipping, is that they donate books to people in need, raise money for non profits like Room to Read and Books for Africa. They collect books from libraries and thrift stores and they never ever throw away a book - they recycle them. They also pay for carbon offsets to minimise their footprint from all that free worldwide shipping. You can donate your books as well. Their prices aren't super competitive but I don't mind buying every now and again and supporting a company like this. They also have a bargain bin. Just like the other big box stores, books a million is fairly reasonably priced, but they also have a bargains area with some great deals. Shipping is pretty cheap at $3 for each book and $0.99 for every extra book. They have a great selection of reasonably priced items, shipping is free over $49, otherwise it's $3.99 for each item and $2.99 for each additional (which is a bit steep to me, I would either buy one book or $49 worth of books). They also have audiobooks which is pretty nifty. Thriftbooks is probably my #1 for used books. I can almost always find what I am looking for and it will be under $5, plus free shipping (over $10 which I never seem to have a problem with). Shipping isn't the fastest, but I don't mind. I had a few issues with them a year or so ago and they kept sending me ARCs or books that didn't match the condition listed. I took several months off and when I visited again, they'd updated their website and launched a rewards program. I've since bought 20+ books with zero issues so I highly recommend them. I don't know if abe books and thriftbooks are the same, I think thriftbooks sells on abe books perhaps - I know they sell on eBay as well. I have used abe books a couple of times and to be honest I just don't like the website, it's not as user friendly as thriftbooks. If I can't find it on thriftbooks, I look on eBay and then abe books. Lastly, if you have an e-reader and aren't signed up for netgalley yet, you need to be! Basically it's a way for publishers (or authors, I don't know) to get ARCs of their books out and have people read and review them before they are published. I have gotten some really great books from netgalley, and some really not great ones so it's kind of luck of the draw. Well, really, just be careful about what books you request and don't request something you wouldn't normally read. One place I didn't mention but sometimes shop at is Half Price Books. They also have an online store that I have never shopped at. I am conflicted on half price books. Sometimes their prices are outrageous in store, honestly. It makes me mad. Other times, I get a book for $5 so can't complain. 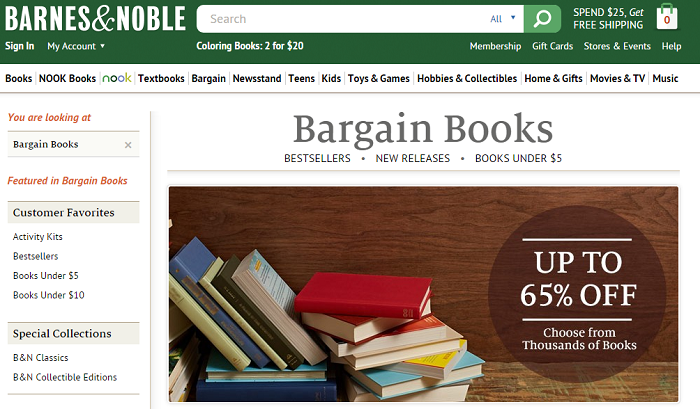 If you have a half price books near you and prefer real store shopping over online shopping, definitely check it out. Just don't go online afterwards to see if you could get it cheaper. I also always check out goodwill and other thrift stores, but they are rarely organised very well (I don't blame them!) and I am normally looking for clothes anyway. I know that was a ridiculously long post full of all the information, but if you like to read or buy books, I hope you found it helpful! To recap: my favourite places to buy books are Amazon (new and used) and Thriftbooks. To support a great company, check out Better World Books. I read so much that it's silly not to at least try and save money where I can. Even if you don't read as much as me (nothing wrong with that!) saving money is always a good idea! Holy book information batman, this is GOLD! I use my library because I don't like to pay much for Kindle books. I'll buy a tangible book but for some reason only like to rent on my kindle. My husband buys books from ebay all the time for basically pennies, I'll have to check out many of the places you listed! Thanks for this! Well now I feel so dumb lol, I don't read nearly as much as you do, but I almost always pay like $10 a pop for a book. I always think I'm being so smart buying on my kindle too, but it's not usually that much cheaper, and I still feel like it's almost wasted money because I won't ever go back and re-read it on there. I don't like to keep books unless I love them (moving too much problems, books are heavy) but I do like to give them away to other people to read after me, so I hate that part about the kindle. I am going to re-read this later when I have more time to get into it, but THANK YOU! I love this, holy information you are awesome!! I need to sit down with this post and figure out my strategy. These websites all look great! I am especially interested in the ones with free worldwide shipping which apply to us in Canada! :) I have found some great books on Kijiji locally too (probably Craigs List in the US :)) I am interested in trying something like Kindle Unlimited/Scribd but like you, I'm just not sure if it's worth it. Oh, I'm with you on the Kindle Unlimited! I thought it was a great deal until I realized that the majority of the books that I wanted to read weren't available and that you kind of had to search through what they had to find something new you'd want to read. That was one service that was pretty easy to cancel once I realized that. Ew. Yup, I'm with you on that one. Hate the paperback cover!! All the books!!!! Netgalley, bookbub and blogging for books are my favorite places to get books. I always scour the clearance aisles at stores and look for coupons on Cartwheel at Target too because sometimes they have an extra percent off there. WOW this post is amazing! I'm so glad that I got a library card..finally. I'll have to look at these other options! My problem with camelcamelcamel is I always forget what it's called and can't find it on Google when I search for it. #memoryproblems I love the library and Amazon, of course. 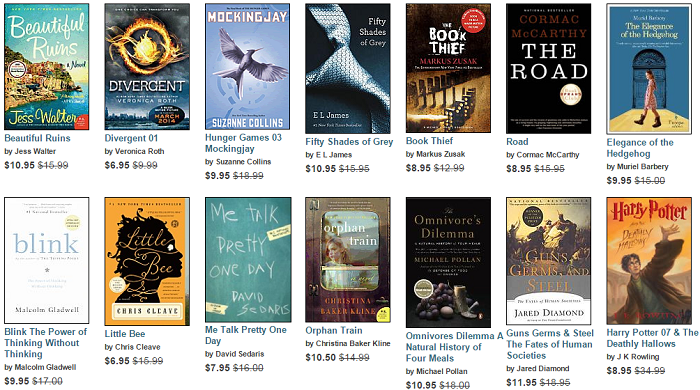 I didn't know about the Kindle price tracker, that's awesome!! Loved Maid for You, such a good but long series! Thanks for putting all of this info in one place! WOW that was a lot... Now I'm going on a (discounted) spending spree and it's all your fault! Lol. I love physically browsing the discount books in B-A-M. Thriftbooks is calling my name right now, though. This is SUCH a fantastic post!!! Several things I already knew (e.g. Amazon and eBay, of course), but sooo many other great ideas! I don't even want to know how many hours it took you to put this epic post together but thank you!!! SO helpful!! I scrolled all through your list waiting for my favorite and was surprised it isn't here! I love half.com, I can usually get about 4 books for $10 if I'm choosing from titles that cost $.75. I usually by from Atlanta Book Company because they are close and I know the shipping will be pretty quick. Great post! I normally buy from Amazon, but I need to check out these other options. I am weird about buying books. I like them new (I need to change that) and I like to pick my cover. I hate books with the movie covers. I also hate those short, stubby books. I just have to convince myself it's also part of my "decorating" budget. I really can't justify it. I was going to sign up for all of the free trials for Unlimited and whatever the Audible option is throughout our trip. I can't be dropping $15 a book while we're traveling. I buy a ton of books used off Amazon. Otherwise, I'll try to get them at the library! What great info! I don't like storing books, and I like to read in the dark, so e-readers are my go-to. I feel the same way about Kindle Unlimited as you - the selection is normally classics or things I have never heard of! I have never tried whispersync but since I have had less time to read (vs. listen) lately, I might have to give it a shot! Okay this is the ultimate guide to buying books girl! I so need this, just last night I spent so long browsing amazon for a new book and each one I wanted to read was so pricey I couldn't justify paying the price for one book. I will have to use some of these tips! Man... this is the best post ever!!! I have to say (& I think I did say today in my own blog) but I just realized I could get free books from the library on my Kindle. My life has been changed. I've read 6 books in just 3 weeks using that. & books that are on my Wish List to buy. I'm so happy... My book budget just got slashed! But still able to read right along. Damn! I hadn't heard of most of these!!! I'm gonna check out wordery. I usually do the used book sale at the library... SO CHEAP! This post is great! I usually use my Overdrive app for free library books, and I've also done blogging for books. Definitely checking out some of these other methods! Um this is everything. 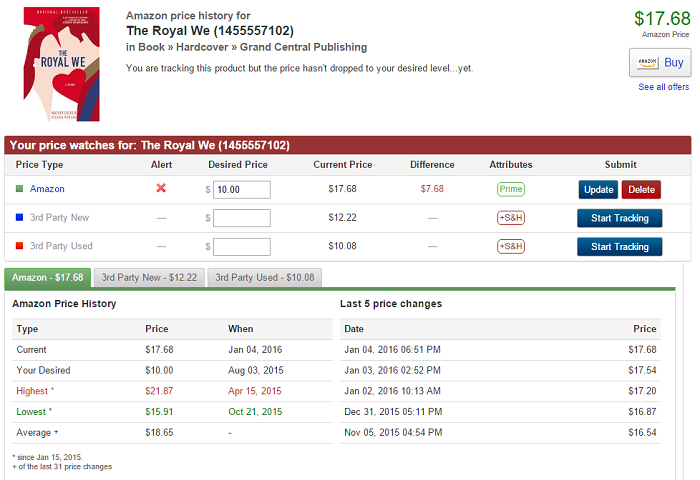 I think I'm gonna buy the Royal We in Hardback too. The cover is so pretty that I think it would make a good coffee table book! Oh, I wish this information was around 10 years ago when I was actively collecting books. 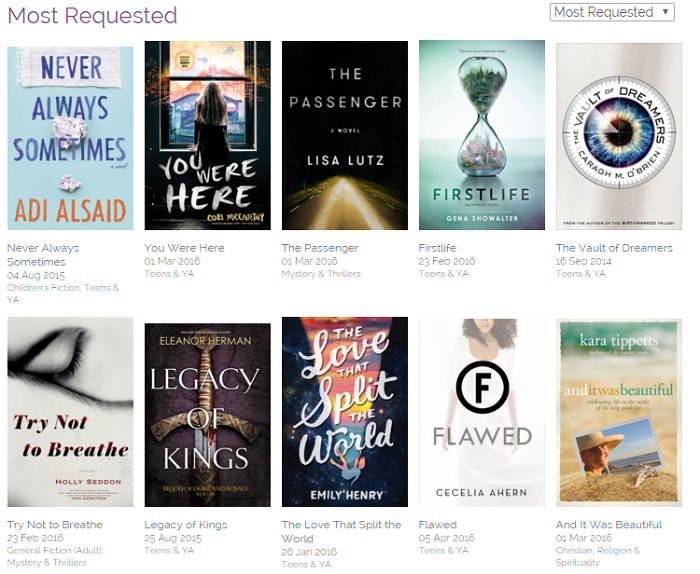 I had to slow my roll and stop buying, so I mainly use the library, netgalley, and kindle. I only buy about 5-10 books per year, and I try to do the paperback version. I love paperbacks. There's a used paperback store near the shore house that I love to peruse. I haven't heard of a few of these, so this is awesome information. I really like Overdrive for my free library eBooks because I generally don't buy books. I also just signed up for Blogging for Books so we'll see how that goes. Wow this post must have taken you forever girl! Amazon for the win always. I need to renew my library card! What a comprehensive post! I like my books absolutely free so the library and Kindle Lending Library (for Kindle owners with Prime membership). When I do buy books, it's almost always Amazon or through Kindle because I just love the convenience. I enjoy reading but I can't read that fast! haha thanks Kathleen! yeah i don't often read that fast or that much in one sitting, but that was a really good book and i didn't do anything at else for like 5 hours haha. I like to browse bookshelves at the local Goodwill and I've been able to find some surprisingly good books in great condition. I'm gonna check out Thriftbooks, it sounds like a great website! I've heard of Better World Books before because part of my volunteering at the library consists of getting books organized to send them off to BWB. I haven't heard of some of these so going to check them out. 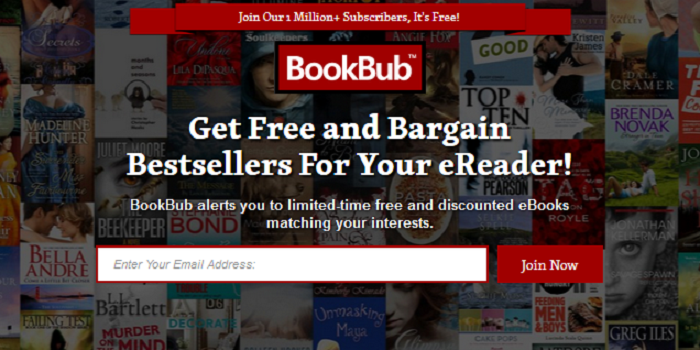 Also you should check out Freebooksy, it's similar to BookBub in that it emails you a list of free e-books from the categories you pick, all free. I also didn't know at first but with BookBub you can choose many categories, i was getting only one choice a day but added more categories and got a ton! Love free books. So many amazing tips! My sister-in-law is a huge reader so I usually just steal/borrow her books or my mom! ;) I never even thought about checking retail me not for audiobook coupons! I really need to do that because I enjoyed the ones you sent me a while back! Perfect for my long car rides! Thank you so much for these amazing tips! My head is spinning . . . what a wealth of knowledge you are . . . not that I expected anything less! Great ideas!! I agree with Amy, head is spinning! How am I so out of the loop?! This was fabulous and super helpful! As usual, thanks love!! My library is the bomb diggity. I love that I can get audiobooks and ebooks without having to go in and they generally have most of what I'm looking for, which is awesome. I love holding books and I really love owning books, but if I made that insistence with every book I wanted to read I would either never read anything or I would go broke trying to support my book habit. I love used book stores though. There's a great one in my town, and some books are just better when they're "broken in," so I'll go looking there for some specific titles. Really awesome to know about the rest of these I didn't know. Thank you! This is super helpful, I actually just got a library card like two weeks ago for the first time since middle school and when I walked in I quickly realized what I had been missing for years! So I totally haven't signed up for Netgalley yet, but I'm heading over to sign up right now! I can't believe that it's taken me this long! I'm also going to sign up for BookBub so I can keep track of all the books I have on my list. I had no idea that HalfPriceBooks was online either! I'm going to have to check them out as well! Obvi we can count on you to give us the hookup on where to get the cheap/free books! Ummmm, thanks for doing all that research!! I LOVE our library - we get all the audiobooks and e-books -- and it's amazing. They don't have the most gigantic selection, but it is still pretty big!! Must check out all the other ones! This is amazing. I love to read, so spending money on books is a struggle. So far I have been loving Kindle Unlimited, but you are right, you have to find something you want to read, rather than search for a specific book. Whoaaaa. This is freaking awesome. My husband spends way. too. much. on books. I'm going to send this his way (maybe more for my sake than his - haha!). Very nice! What a well thought out list. 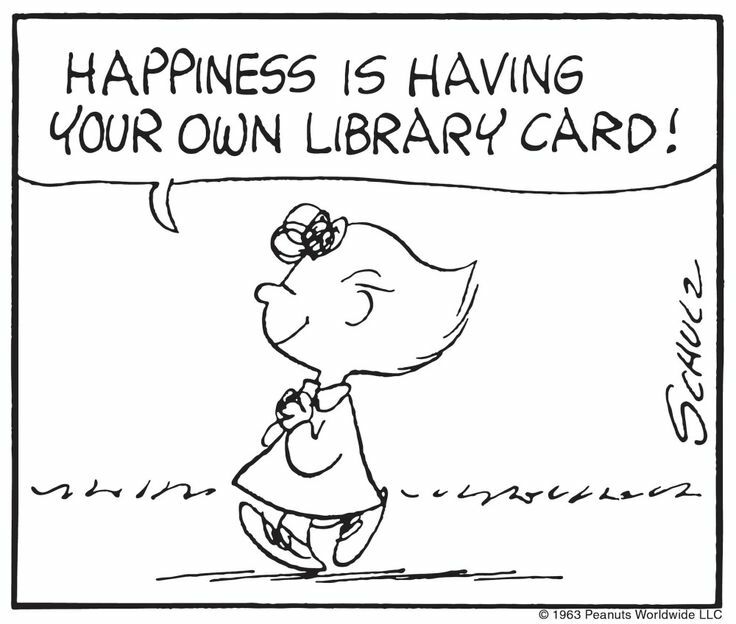 I have a library card and at the pace I read, that works really well for me. This list is seriously amazing. 160 books last year?! Omg your're like my idol. That's so awesome. I love reading and talking about books so much so I loved this post! I've never heard of Netgalley so I'm going to check that out! 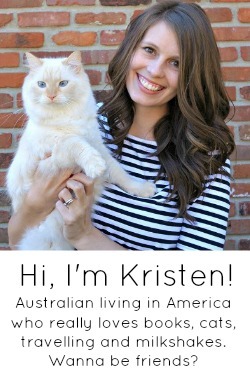 Kristen! What an abundance of information!!! Any reader living in the U.S. should see this post. In fact, I'm going to share it on my book challenge page. Hope you don't mind. You don't? Good. How I get books: library first, secondhand bookstores second, amazon third. And, I'm old-fashioned and still only get books (no ebook or audiobooks). I do think I'll mention the Paperback Swap site to my mom. I think she'd be really interested in that! Thanks for sharing all your secrets! Wow, what a list! Amazon is my primary source of getting books, but I like the free and even cheaper options better! This info is SO helpful! Great list. I read a lot from the library but sometimes, I find a book I love so much I want to own it and buying it cheap is the way to go. I use Amazon and Half.com and I'm on Bloggjng for Books. I buy most of my books from the Amazon marketplace. There are a few sellers I've bought from multiple times and they're always fast, reliable and when they say a book is in "good" condition I know it is actually more like excellent condition! whoa! you really did the dirty work us, thank YOU!! i love all of the options--many are new to me. i had audible for a year as a present, but not sure i'd buy it for myself. i got 1 book a month, but could have used more!. You should come to Portland and go to Powell's! There's just something about being in there, I love it! And you can go and sell your used books, which I haven't done yet, but I'm planning on it. This is such an awesome post! I bet it was a lot of work to put together, so thank you! I don't like to spend a lot of money on my reading habit--and English books in stores in Malaysia are terribly expensive...also, most online ordering is, so finding inexpensive ebooks is big for me. We do have a library in the apartment complex I live in (how cool is that? A library for an apartment complex? It's supplied by all the residents--we donate any books we want to and can read as much as we want to!) but the English book selection is relatively small...I've read 18 books in 2016 so far and I have a feeling I'm going to eventually run out of books I'm interested in in the library! This post blows my mind, lol. I seriously can't wait to check out some of these sights - I was only using BookBub, but obviously there's a whole other world out there for book lovers like us. This is awesome, thanks! I am currently raiding the libraries of family and friends for my reads, there's a lot to go at. 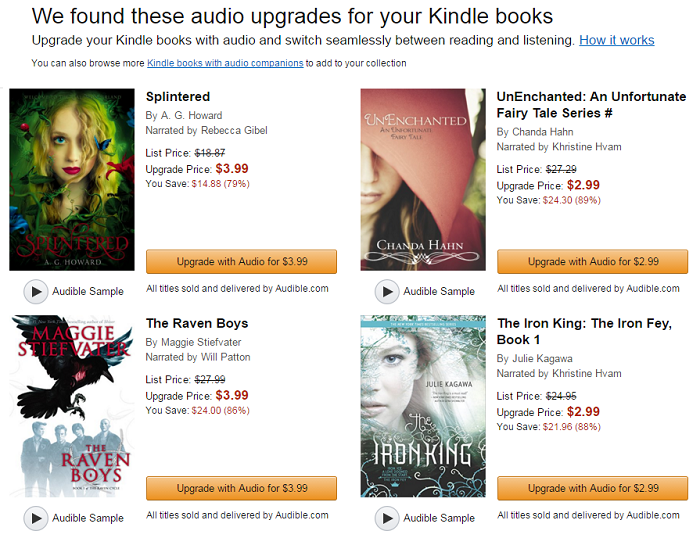 Oh and I'm paying through the nose for Audible - but did you know you can do the free returns thing? They say you can return anything in your library, no questions asked, and you get your credit refunded. Now you're not *supposed* to do this in order to listen to more than one book a month but... Nobody's called me out on it yet! This post is awesome! I hadn't heard of several of the used book sites, so I'll definitely be visiting those once I'm ready to start buying books again. I put myself on a book buying freeze last year because I still have several brand new books sitting on my shelves that I haven't read. I keep getting distracted with library books, though, so they always seem to get pushed to the side. I love Half Price Books, but I agree that sometimes their prices are crazy. If you know you can get a brand new copy for the same price (or less!) on Amazon, it's kind of like what's the point? I still love hanging out in there and searching for books I really want, but I haven't been in a while because I'm not planning to buy any books right now. I don't need to be tempted! YAY such a good list. I found a new audiobook place. It's audiobooks.com. They do pretty much the same thing as Audible, but I found a groupon for them so I figured I'd just sign up with a different email address/CC so I can get my audiobook-ing on. 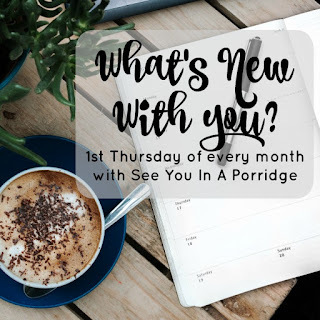 Just started following along with your blog, and as this was the first post I read - I'm definitely happy that I did! Thank you for the extensive list of suggestions. I can already see that I'll be spending the next hour or two browsing four sites that I had no idea existed. Oh man. This post is a gold mine. 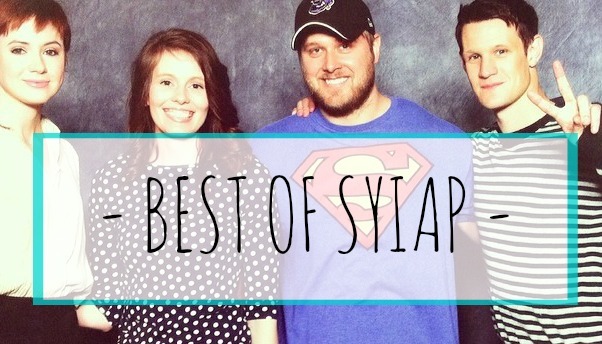 Thank you so much for taking the time to write this up! Also, 160 books last year? You are #goals for real. I mostly do ebooks these days to simply save space and because it's easier to cart my Kindle around than thick books... but there are some books I like to have hard copies of. I'm definitely coming back to this post!